Offering an alternative to the usual career retrospectives the Classic Rock Legends series tempts a bunch of veteran band into an intimate pristinely recorded career-spanning set complete songs. 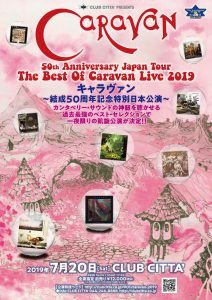 For Caravan it’s their first show in five years with hastily recruited drummer Mark Walker who soon makes his presence felt answering Geoff Richardson’s spoons on washboard on their goofy ’71 gem Golf Girl ensuring the band’s ingrained quirkiness continues unabated. Despite or more likely because of their enforced lack of rehearsal everyone is on full alert from the opening Memory Lain Hugh to the epic finale Nine Feet Underground. 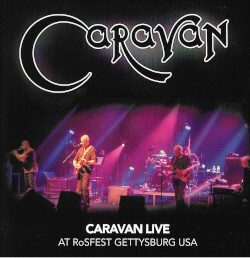 This entry was posted in DVD, Reviews and tagged 2010, Classic Rock Magazine, Legends concert on May 30, 2011 by caravan.